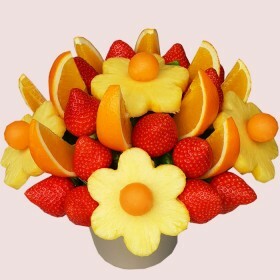 They are not just ordinary fruit baskets, they are edible fruit bouquets. The unique idea of celebrating a Birthday party! 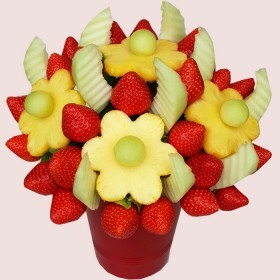 Forget about the cake which is a traditional unhealthy and boring idea. 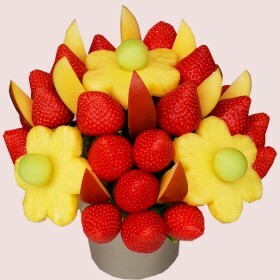 Most of the people are now balancing daily food intake and eat healthily. 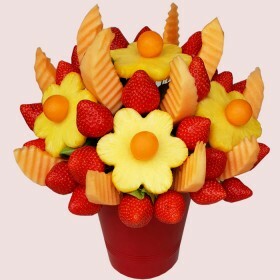 With our fruit baskets, you will never worry about how much you can eat. 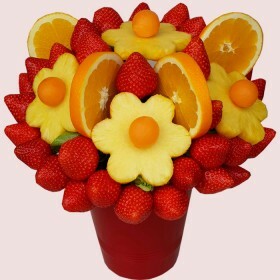 You can eat as much you want, because fruits contain vitamins and minerals and a lot of other ingredients, that your body needs. 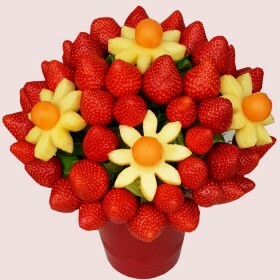 We did not forget about the people who love the chocolate, this is why we creat dipped in Belgian chocolate fruit bouquets.